When I was contacted to review these two books, I was delighted because I love having books that Brooke will also enjoy. In Natalie Grant's new Glimmer girls series, we meet 10 year old twins Mia and Maddie and their little sister LuLu. They embark on an international adventure and mischief, their mom is a very famous with her singing and she travels the world, we also meet their Nanny Miss Twist. 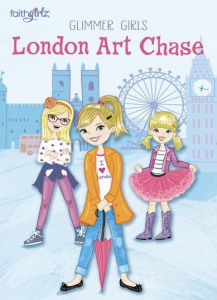 LONDON ART CHASE~ The first book in the series. We meet Mia and Maddie and Lu Lu, the girls are smart and sassy. They are excited for the family adventure to London to see their mother perform... but while on a day trip to the National Gallery, Maddie sees what she believes an art theft and takes her sisters and her nanny on a wild adventure as they follow the thief....I am going to keep you in suspense and make you wanna read this lovely series. 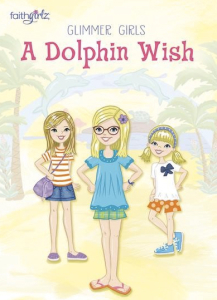 DOLPHIN WISH~ the sisters have a three night stop in San Diego and it is the break the girls needed... they hear the animal handlers at watery world discussing the trouble they have been having with keeping the animals in their habitats, those girls cannot resist such a challenge and they take their nanny to the amusement park to see what they can find out about why or how the animals are escaping. I have a set of these two books to give away to one of you, to enter please let me a comment below and tell me what would you do with these books? Please also leave me an email with your comment so we can email you when you win. You can follow these hashtags to read more about it.